Tacos are a great party food: Just put the fixings out and let guests make their own. The slow cooker pulled pork is easy to make ahead. 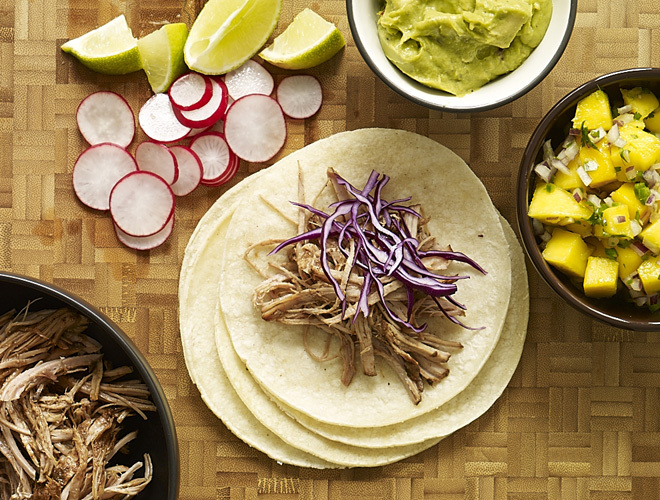 Warm up the shredded pork on game night and put out your taco bar along with your other party fare — and don’t forget the salsa! Miniature bacon cheeseburgers — a.k.a. 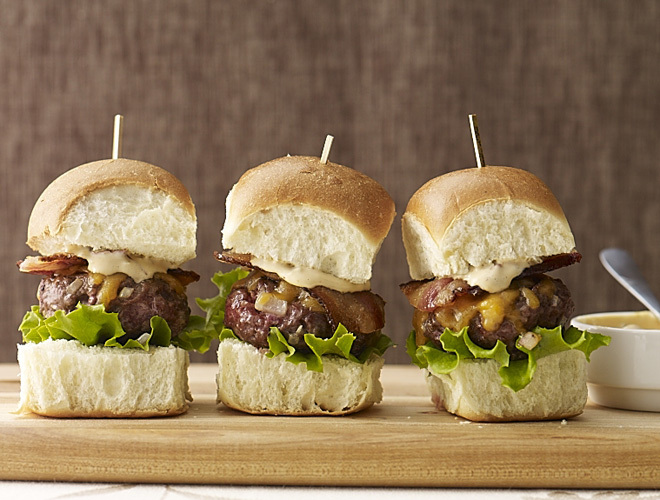 sliders — get kicked up a notch in this recipe with a spicy chipotle sauce. Our suggestion: Double the sauce recipe and serve with French fries. You’ll be the game day MVP! 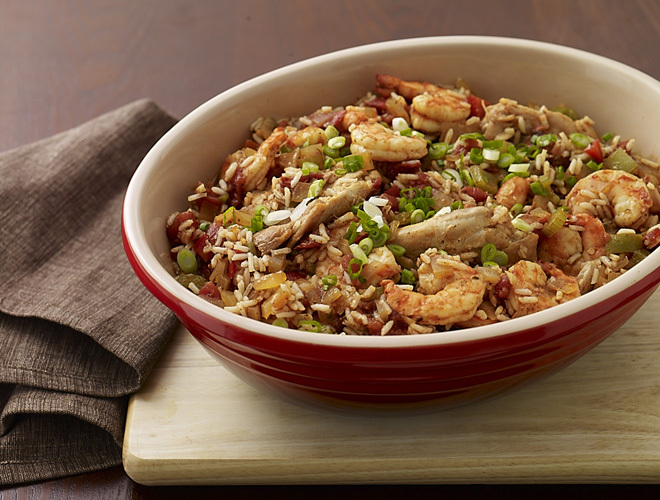 Slow cooker shrimp and chicken jambalaya - perfect for Mardi Gras. So far, so good. Really easy to use and can add links and captions. Best of all, it’s responsive. The only thing I don’t like is that the captions are over the navigational buttons.